The San Luis Obispo Bay location began as a shipping port in southern California. However, the beautiful secluded spot soon became a honeymoon destination. Guests arrived by steamboat from Los Angeles and San Francisco to simply get away from it all. Today, the charming community continues attracting visitors who enjoy seeing the sights, engage in water-based activities and outdoor recreation. The waterfront is divided into Fisherman’s Beach, Olde Port Beach and Pirate’s Cove Beach. All remain popular for locals and guests alike. Beach furniture is available for anyone desiring to relax and sunbathe or just enjoy the view. Along with swimming and snorkeling, things to do in Avila Beach include kayaking, stand-up paddleboarding and surfing. In addition to having the chance to rent water sports equipment, guests also have the opportunity to try a new sport by taking advantage of available instruction. Sailing things to do in Avila Beach include that chance to board sailboats or speedboats for tours of the coast. The larger vessels provide passengers with the chance to learn some sailing skills. Some excursions also offer beverages and snacks. Boat tours also enable passengers to see dolphins, otters, seals and whales that frequent local waters. The facility is one of the many family favorite things to do in Avila Beach. Guests are enchanted with the wide selection of marine life species cared for at the Central Coast Aquarium. The dozens of species on exhibit range from crabs, octopus and sea stars to various types of sharks. Touch pools enable visitors to experience one-on-one interactions with different types of marine animals. The facility also provides guests with the chance to live the life of a marine biologist for a day. Anyone interested in marine biology might take various marine-based classes. Visiting and touring the 1890 lighthouse makes for a great adventure when young and old look for thigs to do in Avila Beach. In fact, Avila Beach offers trolley transportation from Wild Cherry Canyon to the fascinating location. The lighthouse was instrumental in guiding ships safely home until the middle of the 1970s. Today, the Coast Guard maintains the Vega VLB 44-2.5 light at the station that blinks every four seconds each night. The beacon is easily seen up to 17 miles away. During the 1990s, the two-story Gothic-Victorian keeper’s house was transformed into a museum. Cycling is another of the many popular things to do in Avila Beach. Various downtown locations rent traditional and electric bikes. Routes include the Bob Jones Trail that ventures from Highway 101 and continues along the San Luis Creek. The path then meanders through the Avila Valley and down to the waterfront. Guests might opt for the guided hike to the lighthouse. Other local trails include the Cave Landing that begins in the parking lot and continues to the cave or to Pirates Cove. The Shell Beach Bluff Trail begins at either the Shell Beach Drive Trailhead or from Pirates Cove. The Sycamore Crest Trail begins at the Mineral Springs Resort and ventures to the Ontario Ridge Trail. The main street promenade and along with waterfront, visitors find an abundance of boutique and specialty shops. Whether looking for swimwear or casual summer attire there are retail options. Galleries offer artwork. Charming shops feature gifts and souvenirs. Local wineries offer their wares and local fisheries provide the fresh catches of the day to eateries and grocery markets. Ice cream parlors, bakeries and candy stores satisfy every sweet tooth craving. Local restaurants offer a delicious selection of meals thanks to the freshly harvested ingredients obtained combined with the talents of area chefs. The Old Custom House serves breakfast seven days a week. Options range from traditional french toast and pancakes to crab benedict, machaca, omelets, biscuits and gravy. Lunch or dinner choices include salads, burgers and sandwiches along with steaks. The Fat Cats Cafe is another inexpensive dining option. Diners enjoy oceanfront views inside and out along with a menu filled with fresh seafood choices. The Olde Port Inn is the ideal destination when in the mood for a night out and fine dining. The venue is known for its array of seafood options. However, the inn also features a number of pasta specialties that include blackened chicken with penne and seafood fettuccini. As the community lies at the center of wine country, vineyards are scattered throughout the valley. A number of wineries have wine tasting rooms in the downtown area for the convenience of wine drinking enthusiasts. The 2nd Chance Winery, Alapay Cellars and the Biddle Ranch Vineyard are some of the many wineries you can find in the downtown area. Avila Beach is situated on San Luis Obispo Bay approximately 160 miles (257 kilometers) northwest of Los Angeles and approximately 200 miles (320 kilometers) south of San Francisco. If driving north or south from Avila Beach, simply take Highway 101 in the opposite direction to the Avila Beach Drive exit and follow the route for 2.5 miles. U.S. and international visitors can fly into the San Luis Obispo County Airport (SBP) from 17,000 different destinations. The airport is a mere 9.4 miles north of the community. From the airport, visitors need to take Highway 101 south to Avila Beach. After arriving at San Luis Obispo County Airport, guests have the option of renting a vehicle to drive to Avila Beach. Four well-known facilities offer a wide range of vehicles. For mariners who arrive by boat, Avila Beach offers a water taxi service that shuttles visitors to and from Port San Luis Harbor. Along with the natural beauty of the destination, Avila Beach additionally features a fascinating history that dates back to the days of swashbuckling pirates. The wide range of activities available in the community ensures that you find plenty of things to do in Avila Beach. 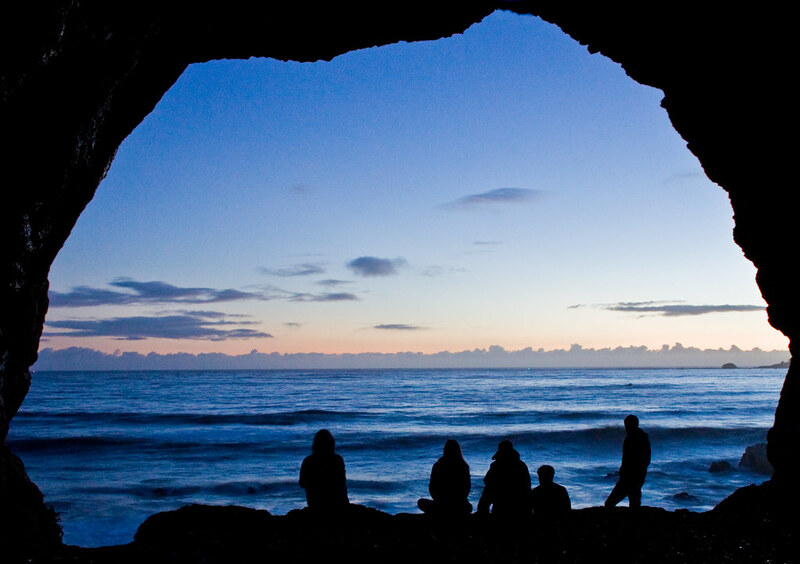 Experience what Avila Beach has to offer.